Did you know that my full name is Lokelani? All my friends call me Loke, but I was named after the most beautiful flower in the whole South Pacific! The lokelani is the official flower of the Hawaiian island of Maui. Unlike the more famous Hawaiian flower, the hibiscus, the lokelani is not indigenous to Hawaii. It was introduced by Spanish explorers in the 1800s. 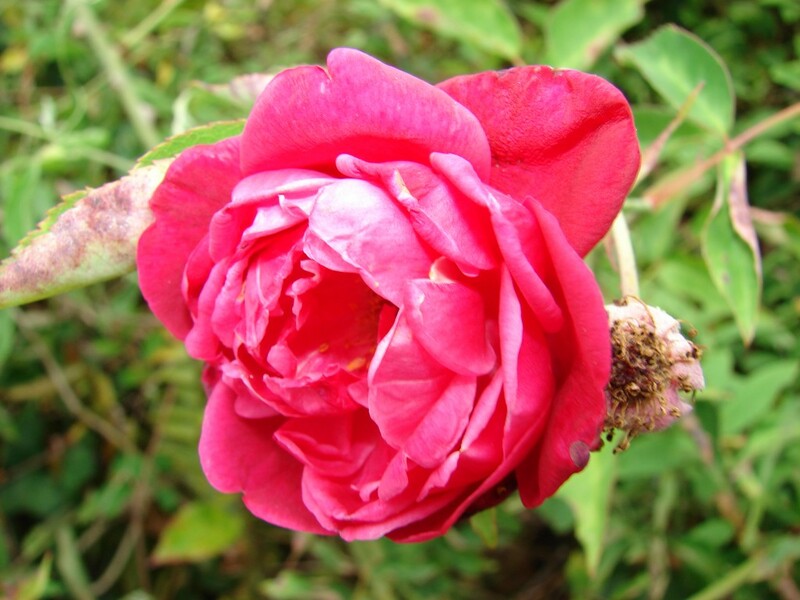 It is called the pink Damask rose — that’s right, it’s a kind of rose! Loke means “rose” and lani means “heavenly.” Botanists call is Rosa damascena. But most people know it as “the Maui rose.” Isn’t that lovely? Lokelani roses sure are beautiful, but the next best thing about them is their smell. You have never smell such a heavenly fragrance! I’m not the only one named after the Lokelani. You might have heard about Lokelani McMichael, she’s an indigenous Hawaiian surfer and athlete. Lokelani’s full name is Lokelaniku’uleimakamae. She sure is strong — she won the International Ironman competition when she was just 18 years old! And just like her namesake, Lokelani is beautiful too. Keep making us proud, Loke!